According to The American Academy of Pain Medicine, more Americans suffer with chronic pain than diabetes, coronary heart disease, stroke, and cancer combined. 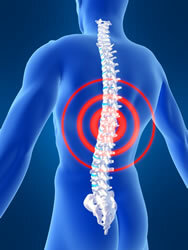 Furthermore, neck pain is the third most documented type of pain, beat out only by back pain and headaches. As a result, a lot of people come to our Waldorf, MD office looking for neck pain care, and Dr. Lipsitz has helped many of them find relief. This is a smart decision, as some research shows that over 90 percent of neck pain patients benefit from chiropractic. A study published in The Journal of Orthopaedic and Sports Physical Therapy included 64 men and women who were suffering with neck problems. Around half were placed in an experimental group and the other half were designated to a comparison group. Both were given chiropractic adjustments of the neck as well as a home exercise program, while the experimental group also received adjustments of the thoracic spine. Data was collected before treatment began and one week post-treatment. Researchers found that 94% of the experimental group claimed "significantly greater improvements" in regard to pain and disability in their neck symptoms. Just 35% of the patients who received neck adjustments showed the same level of improvement, showing that evaluating the entire spinal column is an important part of restoring the body's normal function. One more study posted in Physical Therapy involved 60 adults who were dealing with neck pain. Each individual was randomly assigned to one of two groups--thoracic spine thrust manipulation or non-thrust manipulation--with follow-up exams occurring two and four days after the adjustments. The investigators found that the study participants who received the thrust manipulations (the same manipulations that offered such positive results in the first report) "experienced greater reductions in disability" than the patients who received the non-thrust adjustments. Their pain was lower as well, which shows that this type of approach offers many benefits. One study even found the same kind of positive outcomes after thoracic adjustments in a patient who had a failed neck surgical treatment. This particular case involved a 46-year-old patient who had recently had neck surgery but still suffered with neck pain, headaches, pain in her elbow, and muscle fatigue. The patient documented decreased pain in her neck and reduced headache intensity, immediately after the first chiropractic adjustments. After six weeks of care, which involved chiropractic, exercise, and patient education, the patient still placed her pain at a zero on a scale of 1 to 10. Her neck disability reduced as well, with a rating score that represented that it was a "great deal better." It is scientific studies like these that prove the effectiveness of chiropractic techniques, even if you've already attempted neck surgery that didn't provide relief. So, if you are dealing with neck discomfort and would like to find a solution that has a high success rate, try chiropractic. It may just be the help you're looking for. We're located in Waldorf, MD and Dr. Lipsitz can help you recover from neck pain. Give us a call today at (301) 645-8898.